Frescos in the Choral Synagogue, built 1903, restored 2006. Photo by the author. In 2009 Olga Gershenson spent six months in Moscow, collecting data for her new book Holocaust in Soviet and Post-Soviet Cinema. 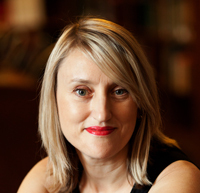 Below are her reflections on Jewish life in Moscow. An old joke goes: How many Jews are there in the USSR? Three million. How many have left? Two million. How many remain? Ten million. The joke appears to speak to the present in Russia: Most Jews have left, but Jewish events and culture seem to be everywhere. On my first night out, my friends took me to the Gogol club for an evening dedicated to the memory of Arkady Severny (1939–1980), a beloved underground singer-songwriter with many Jewish songs in his repertoire. That night Jewish music sounded in the carnivalesque setting of the club (designed by the grandson of Boris Pasternak, a great Russian writer ambivalent about his Jewishness). The Moscow-based band Klezmasters, who are part of the local klezmer revival scene, brought the audience to its feet with a great cover of Severny’s hit, “Good Morning, Aunt Chaya.” The evening proceeded with performance artist Psoy Korolenko, who combines elements of klezmer, Soviet pop, and multicultural folk traditions in his songs. The dance floor became crowded. I met all the musicians and got invited to their concerts on every night in the following two weeks, including the grand Yiddish-Fest: an international festival that brought to Moscow such klezmer stars as Michael Alpert and Adrienne Cooper. The Yiddish-Fest concerts completely filled the gigantic halls of The Music House. The tickets were sold out weeks in advance. Opus #7 at the School of Dramatic Arts. From the author’s archive. Moscow is the birthplace of the Stanislavsky method and is still one of the theater capitals of the world. Among the prominent directors working here today is Dmitry Krymov, son of renowned theater critic Anatoly Efros (Krymov took up his mother’s last name in the antisemitic Soviet times). He is trained as an artist, so the hallmark of his style is visual metaphor. He mounts large-scale productions at the School of Dramatic Arts, one of the most famous and best-funded (from the Moscow city budget) theaters in the country. Krymov’s Opus #7 is a visual and visceral expression of the Soviet Jewish experience and the Holocaust. At first the “stage,” a giant space between the audience and a great white wall, is nearly empty. A lone woman in a grey coat is dragging a broom on the floor amidst buckets. Then others in coats appear and the first miracle occurs. The “coats” take the buckets and splash black paint out of them on a white wall. Rorschach-test-like inkblots resembling human figures form on the wall. Then “coats” take out ribbons and staple them to the tops of the blots. Voilà, they are not inkblots any more but six Hasids in black hats and kaftans, with black payos. Still working like automatons each “coat” takes a knife and cuts a semi-circle around each “Hasid.” The semicircular segments slightly separate from the wall and a heavenly light comes out from behind the Hasidic bodies. Is it shechina? The light onto the people? 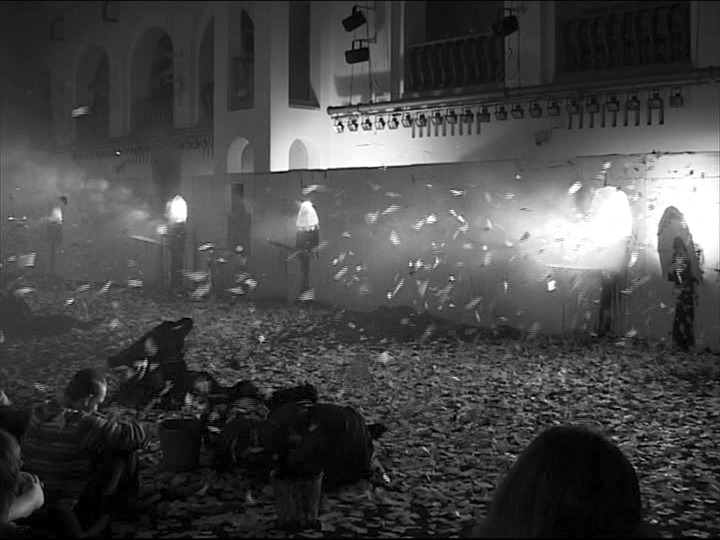 Then the semicircles fall out completely and the audience faces six holes, six open crematorium ovens, with bright light still coming out of them. Then a wind starts blowing from inside the holes. Tiny black pieces of paper, like ashes, fly out of the “ovens.” At first just a few, but then the wind picks up and more and more “ashes” come out of them, some reaching the audience. Then the wind grows stronger and the ashstorm hits me in the face—I can’t breathe, I am blinded by the terrible light, I have nowhere to hide. Covered in ashes, I lose the sense that I am in the theater, that I am safe and that it is 2009 and not the 1940s. . . . And then . . . quiet. The floor is covered with ashes or maybe autumn leaves. The rest of the performance plays with the haunted traces of extinguished Jewish life by using family pictures, scraps of conversations, and digital projection. Objects are there, but Jews are not. Clothes on the hangers come alive with no bodies wearing them, shoes move with no feet in them, glasses are put on sketched faces in the absence of Jewish noses to rest them on. The Jewish experience on stage is disembodied, but the experience of the audience is visceral. The Studio of Theater Arts is another major theater in the capital, generously supported by private funding. Their director Sergej Zhenovach (who, by the way, does not advertise his Jewish roots) stages Marienbad based on Sholem Aleichem’s novel. Marienbad is a comedy of errors, in which a cast of characters with names like Schlojmeh and Bieltze are entangled in a complex web of friendships, animosities, and marital infidelities. Except for the names and the author, there is absolutely nothing Jewish, culturally or otherwise, on stage. It is the director’s idea that Jews are just humans, no different from others. Unlike Opus # 7, Marienbad tries to turn the Jewish experience into a universal one. Still, it is good to see Sholem Aleichem on a major Russian stage. Memorial Synagogue on Poklonnaya Gora complex. Photo by the author. A very different kind of performance occurs in Moscow’s synagogues. There are three big ones, all of which look like four-star hotels. They are lavishly, if not tastefully decorated and equipped with restaurants, concert halls, book/tchotchke stores, and at least in one case, a swimming pool. The Moscow JCC synagogue in the historically Jewish neighborhood (as much as Moscow had a Jewish neighborhood) Marina Roscha features the most delicious restaurant in the whole city. 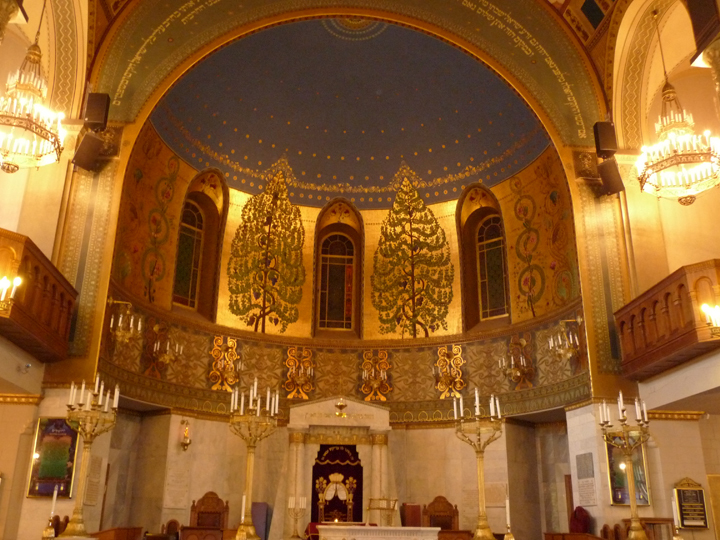 The Choral synagogue, the only continuously operating synagogue in Soviet times, also boasts a restaurant, but it is mostly worth visiting for the historical building and the recently restored magnificent frescos in the style of painted wooden synagogues. Frankly, I couldn’t figure out who goes to these synagogues and why. At the Choral synagogue, I once ran into a flock of Moscow school kids on a diversity education tour. “We just came back from a mosque,” said one, “and straight to a synagogue!” “But we are not Jews ourselves, thank God,” chimed in another. Apparently, diversity education can go only so far. Things Jewish in Moscow are as confusing and confused as the children on the diversity tour. On the one hand, in my six months in Moscow, I met lots of Jews: film and theater directors, critics, scholars, and other intelligentsia. Russian Jews, as ever, are “people of the media.” On the other hand, most of them were converts to Christianity. Yet their conversion did not diminish their identification with the Jewish people and culture. As someone who left Russia for Israel during the time when the mere word “Jew” was impossible to say out loud, I wanted to see how Jewish history is represented today in public spaces. Alas, I did not find much. There is a statue of Sholem Aleichem in central Moscow. There are a few plaques commemorating Soviet Yiddish culture: one on the former building of the State Yiddish Theater and another one on the building of the Soviet Jewish Anti-Fascist Committee. 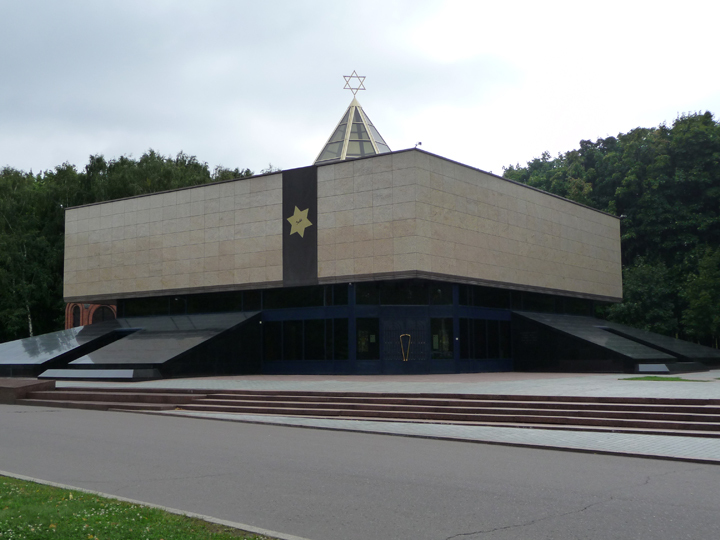 There is Memorial Synagogue at Moscow’s bombastic complex commemorating the Great Patriotic War (as World War II is still called in Russia). The synagogue functions as a modest museum of Jewish heritage and the Holocaust and includes an exhibit dedicated to Jewish war heroism. The truth is that Russia, a place with a rich and peculiar Jewish history and an obsession with memorials, still does not have a Jewish museum. For a while it looked like there was one in the planning. Last year, the board gathered and, with funds from local and international sources, purchased “Garage,” a historic industrial building designed by an avant-garde Russian architect. However, the project was stalled, and Garage now houses a contemporary art gallery. It is an excellent art space in its own right, but it is not a Jewish museum. So, for now, the past is still a matter for the future. This is my Jewish Moscow with all its paradoxes, ambivalences, and irregularities. A place where klezmer concerts attract thousands, where Sholem Aleichem is dramatized in the mainstream theater, and where Jews wear crosses. This is post-Soviet Jewish culture, deeply influenced by the Soviet era separation of religion from peoplehood, and which offers its own ways to be and feel Jewish.